I received a rather peculiar message on WhatsApp earlier today, from someone who evidently wasn’t on my list. They complained that despite training diligently they were not getting results. And I asked them HOW did they train? Their explanation was even more bizarre—by SHOUTING! Well, my response to that was simply, “you don’t train the voice by shouting—you’re deluding yourself.” I have no idea who started this craze in Tanzania, but I can assure you this: this godforsaken practice has destroyed many potentially fine voices. In this article, I want to go over how to make the most of a one hour vocal training session with a tutor as well as on your own. The following is a very simple vocal training template for success. 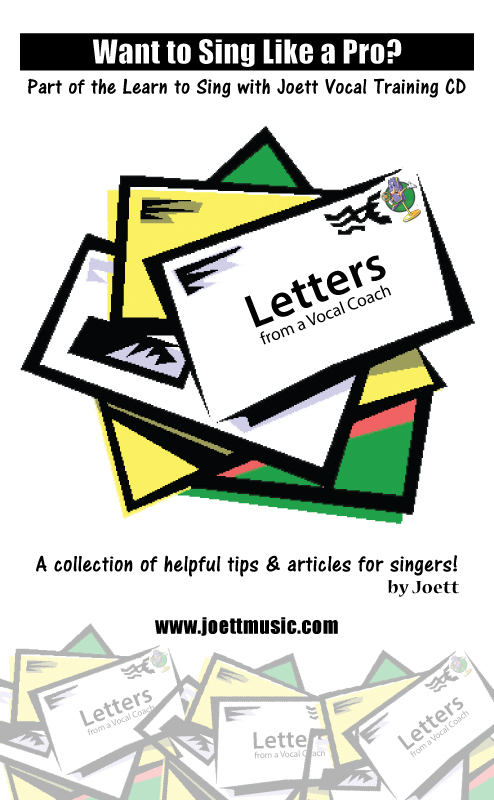 Start out with a breathing exercise (you’ll find a free download track on my Hulkshare page or on my Learn to Sing with Joett Vocal Training CD), and always do this exercise before you begin your vocal training exercises. The next thing on your list, if you’re working from home, is to do the scales in different combination sets. And once again, my Hulkshare page has examples and with my vocal training CD, the booklet or online page on Alternative Workouts will explain how it’s done. But to be absolutely sure—if you’re learning from home—make sure you listen to demonstration tracks on my Hulkshare page and follow instructions accordingly. Private lessons in my studio run for a full hour. If you’re training from home, however, I would strongly recommend that once you get a little more proficient with training on your own, try to gun for a one hour session. And if that becomes a bit of a challenge for you, try to do a vocal workout for at least 20 minutes and perhaps gradually build on that. It gets easier with time. And what’s more, I have just recently created a once off one hour private vocal training session you can purchase to help you get started—just with the once off session—in my studio. Nothing brings home more vividly the concept of learning to sing than recorded audio tapes to help you understand better what needs to be done to train your voice. In this article, I have on tape one of my ace students. And for the purpose of this article a session with this pupil is serialized in audio tapes labeled Case Study #7a, 7b, 7c and 7d. But first, I’d like to give you a bit of background on this particular individual, because I feel it is a key element in bringing this article together. Case Study #7 is a high school student from Canada who has been studying voice with me for at least 3 years. I can see the surprise in your eyes already. Yes, this pupil has trained with me once a week, every week—with the exception of the holidays and vacation time—for a number of years and continues to come to my studio for voice lessons once a week. She’s covered my Beginners 1 & 2 programs, Intermediate, Advanced, Pro & Pro 2, and is now on my maintenance program—namely the Pro Club. I’ve been itching to tell you this, especially, after someone (a local record producer) recently asked me why “some” local pupils tend to drop out of training after a few lessons (he must’ve heard this in the grapevine). An interesting question, don’t you think? 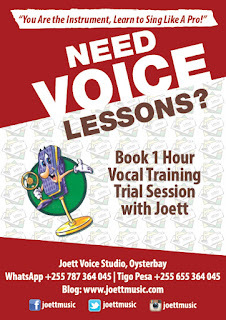 Now let me explain a few truths about vocal training and why some people find it difficult to stay committed. Finance! Yes, one of the main reasons pupils find it a challenge to stay committed to voice training is because it costs a considerable amount of money to hire a vocal coach. 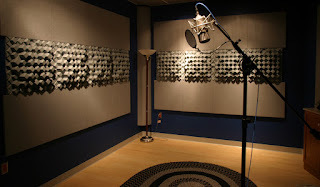 In Europe you’ll pay a vocal coach up to $100 an hour. I charge nowhere near those rates. This is Africa for crying out loud! The second reason is twofold. Either they simply procrastinate; or they really don’t have much talent and have come to realize that for themselves. And now I want to talk a little bit about the solution to both problems. I will begin by addressing the issue of finance. Vocal training doesn’t have to cost you a fortune for the rest of your life, but training can go on for the rest of YOUR life when you know what to do. 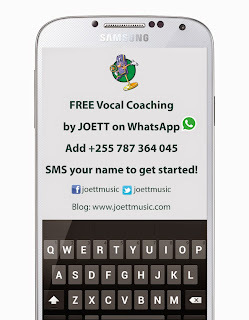 The truth is I’ve gone to bat to try and help; by offering free vocal training via WhatsApp and introducing more affordable products like the 3 hour Quick Start Program and the 1 Hour Trial Session. This is all in an effort to avail the training to more people all over the country. If singing like a professional is what you really want, and if money is an issue, then you ought to consider products tailored to suit your budget. You’ll be amazed how far you can get with a bit of commitment and dedication. If your only problem is procrastination—well, that can be fixed. Surround yourself with regular reminders of what you want to achieve as a singer; listen to great music as often as you can to nudge you into submission; and allot a specific time to train your voice. If you drive—trust me, your car is a brilliant place to do your exercises whilst stuck in traffic with little more than a vocal training CD plugged in. Just do a little work every time you have a chance, and it’ll gradually become a habit. I like to duplicate myself by providing an aftercare service with my Learn to Sing with Joett Vocal Training CD Booster Program… which I hand out to all of my students attending private lessons. 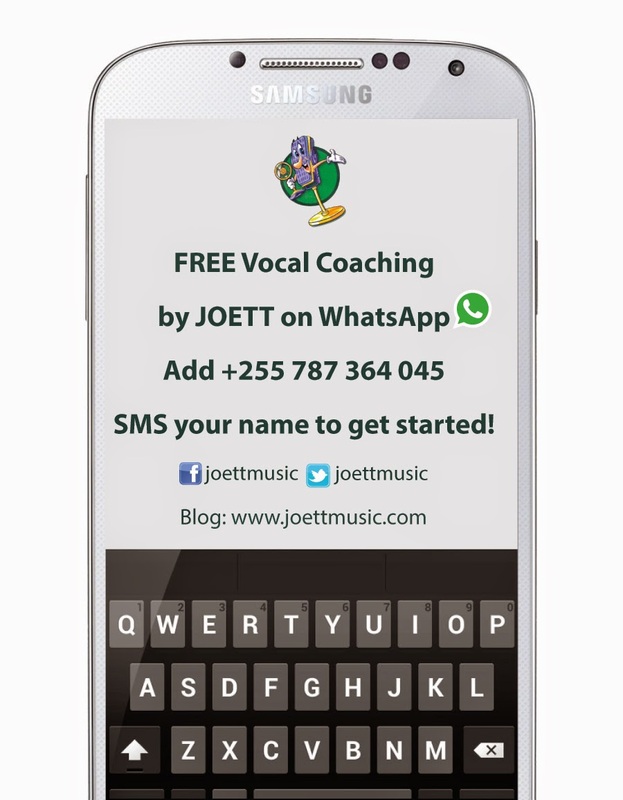 And to my online pupils whom I train free of charge via WhatsApp, recorded studio session files and exercises uploaded to my Hulkshare page come really handy. That being said, it takes a lot of determination to go it alone, but if you stay focused you will succeed. Now let’s take a closer look at what you can expect from Case Study #7. The main exercises that everybody starting out with voice training should do are the Lip Rolls (listen to tape #7a), Nay Nay (listen to tape #7b), Na Na (listen to tape #7c), and Wee (listen to tape # 7d). In all of these tapes, Case Study #7 performs the exercises with an evenly connected tone through the female range. Listening to these tapes will help you understand better what training your voice with correct form is about. I’ve written about the importance of breathing sufficiently in time for each note and phrase that you sing, but nothing can be said enough about this topic. In this article, I will re-cap some of the pointers I gave in some of my previous articles on breathing, but more importantly, today I want to show you how to apply a different technique to help you develop the technique and spontaneity of correct breathing for singing. The idea is to practice deep diaphragmatic breathing for a few minutes a day to develop the technique, but there isn’t a one-size-fits-all exercise in existence that everybody can do and get the same results. I personally prefer the eight by eight by sixteen breathing exercise wherein you breathe in to the count of eight beats, hold your breath for eight beats and then exhale with a hiss for sixteen beats. This is perhaps THE most effective breathing exercise—for me—and it can be alternated between sipping in the breath and dropping the jaw gradually to drink that breath. However, if this doesn’t work for you, you’ll certainly know about it soon enough. And here’s how the alarm bells on that go off. IF the jaw drop isn’t continuous—if at some point your mouth simply freezes and doesn’t move an inch and you’re not breathing steadily to the count of eight beats, then you’ll know it’s certainly not happening for you. So what’s the alternative? Sip in that breath instead. It’ll help open you up for deep diaphragmatic breath intakes because it’s just one continuous sip. From my experience teaching, almost anybody can do this. But there is also another way to improve your breathing technique. And that’s what I’m about to explain next. If at the drop of a single piano key as your cue, you were to take in a deep breath whilst opening out your mouth and inhaling deeply, and then immediately blowing out before the next piano key drops in the next key up, and if you repeated the same breathing pattern—pretty much breathing like your life depended on it—you’ll begin to realize that you will be effectively doing two things. Simulating the breath intakes that are essential for singers before each note and phrase; and also conditioning your ear to open to breathe in time for the next scale in training—well, and inherently when you sing the songs that you love. My Learn to Sing with Joett Booster Program CD has a single key piano track you could quite easily use to this end. To download free mp3, Click Here!